Staying in touch is easier than you think! Now that the year is quickly coming to a close you might be worried about how you can stay in touch with your new friends. I know from first hand experiences when friends move away, it's hard to keep in touch with them. You both get busy with your separate lives and don't have the time to catch up with each other. Nonetheless, it's important to keep in touch with friends. Here are some ideas for keeping in touch with your buds. 2. Email or chat online. Make sure you exchange e-mail addresses before you leave campus, and you're all set. Just remember to send them a message with what you have been up to! 3. Skype. With Skype, you can video-conference with people who live far away from you for FREE by connecting through your camera and microphone on your computer. · Don't wait for your friend to make the first move. Who knows how busy she is, or if she/he is waiting for you to message them! For more information on how to stay in touch with friends from university or college, check your schools alumni page for more information and tips. Click here for more information from Brock University. I find that the biggest concern that all incoming first university and college students face, living in residence is “will I get along with my roommate?” The answer, you wont like each other all the time, you just have to respect each other. I know I went into my residence experience with such high hopes that my roommate and me were going to instantly be best friends who were going to do anything and everything together. I couldn’t wait to meet my roommate and start experiencing university life together. Once I moved in and we started living together, my dreams were shattered quickly! I soon learned that my roommate and I had completely different schedules we were total opposites. She was a night owl and didn’t wake up till mid afternoon, I liked to go to bed at a decent hour so I could wake up early. We frequently clashed on all kinds of issues but then we both realized that we needed to stop forcing ourselves to being “best friends” and just respect both of our needs for the year while we shared a room. However, we both made it out alive from our shared room experience and now that we don’t share a space we have actually become best friends. We have grown so close and sharing a room was the first step in forming our strong friendship. I know, once you move in to residence, and you initially don’t get along with your roommate your pairing can feel like a life sentence. I found some great steps on adjusting to living with a roommate at Parent Central and will help ease the transition into dorm life and sharing your living space with a total stranger. · Create roommate rituals. Give yourselves a chance to get to know each other better by establishing regular roommate get-togethers like going out for dinner, watching a movie or favourite TV show and celebrating each other's birthdays. · Be respectful. Make sure you both display common courtesy and empathy towards each other and each others things. Make sure to take down and communicate your roommate's phone messages. Be sensitive to how your roommate feels about girlfriends or boyfriends staying overnight. Offer some encouraging and supportive words when roommates are anxious about their first big test or term paper. xo xo, your how to girl! Now that everyone knows where to shop for the cheapest prices on groceries, it is now time to make a satisfying, delicious and very inexpensive meal that will please any starving student! The recipe that I am sharing today is Eggplant Parmesan Lasagna! This is probably one of my favourite meals to make for my roommates and myself; I usually make it on a weekly basis. The best thing about this recipe is that it is inexpensive; one meal of Eggplant Parmesan Lasagna can feed four people for around $11. This dish is so flavourful, saucy and gooey with cheese you wont believe this was the cheapest meal you made or one of the healthiest. This recipe is also vegetarian and gluten free friendly. My friends, you can now stay away from the ramen noodles and the KD and enjoy a meal you can feel good about eating. 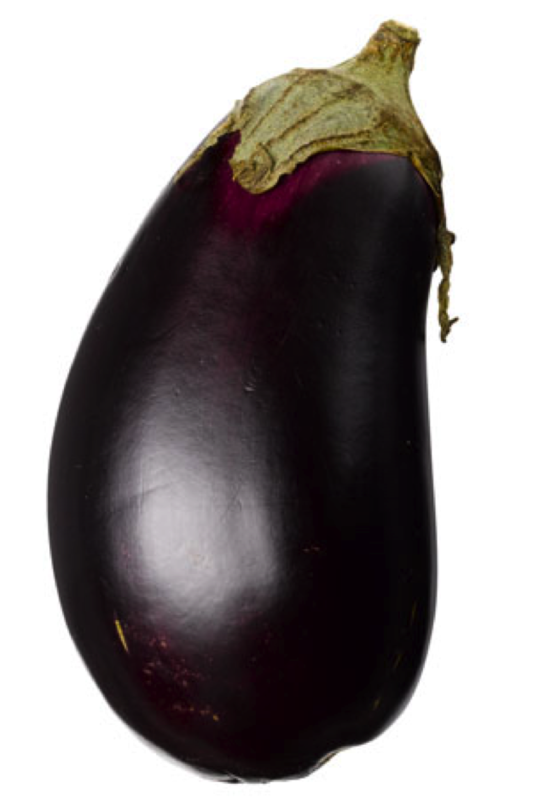 If you click here, you will be taken to a video of my roommate Bailey, making my recipe of Eggplant Parmesan Lasagna. Enjoy and bon appetite! No Frills or Full Service Grocery Stores? Who Can Save a Student More Money? As a University student it is hard to find the money out of your budget to purchase good and healthy food without blowing the bank. To save money on your grocery bill I’m sure you have even switch supermarkets from the grocery store with all the bells and whistles to the bargain no-frills type of grocery stores to save a buck. Your new grocery-shopping tactic might actually not be saving you money, you could be paying more for your groceries and you don’t even know it! A couple of weeks ago a segment aired on City News Toronto, where reporter, Jee-Yun Lee, along with savvy shopper Kimberley Clancy of Frugal Shopper, set out to three grocery stores to see which would have the lowest bill. Lee and Clancy went to The Real Canadian Super Store, Wal-Mart and Food Basics where they purchased the same basic food items like bread, muffins, orange juice, fruit, meat and milk to test the overall price. To my surprise, they discovered that The Real Canadian Super Store was the cheapest grocery store for everyday items with a total bill of $63.61, Wal-Mart bill was $66.88 and biggest upset was the no frills store, Food Basics who racked up a bill of $76.40 on every day items. That is a difference of $13 between the Real Canadian Super Store and Food Basics order totals. That difference in money can really add up over time, especially for starving students. Next time you are out grocery shopping make sure you think about where you are going and look at the prices of your food. Also, look in the flyer for more food saving ideas. § Use coupons. I don’t sit through the flyer section of the paper and clip every coupon, but on the way into the store I take a look at the flyer board and if I see something I am buying this week, I will take the coupons. By the end of February in an academic school year, a students stress level can be at an all time high, especially with all the midterms and final year end papers. With high stress levels, students become more over whelmed and forgetful, well at least this is how I get during stressful times in my school year! To help with remembering when all school assignments, papers, projects and tests are, it is always helpful to have a good planner to jot all your due dates in. When choosing a planner for your school year, it is important to determine what your specific needs are. Here are a few of my requirements when it is time for me to choose a planner. Ø It's dated. Don't settle for an undated organizer, it will only force you to lose time filling in the dates, or worse, make it too hard to use. Ø Has both monthly and weekly calendar. I like have an over view of each month to stay on track, but a weekly views keep me from getting too overwhelmed. Ø Has room for notes. A space for notes is essential addition to a personal planner as you can quickly write key points surrounding an assigned project or test. Ø Front or back folder flap. In my planner I prefer to have a place where I can put lose reminders, business cards or appointment cards into my planner where I can access them at anytime without loosing them. Once you determine what key features your planner must have, it is now time to purchase the planner. 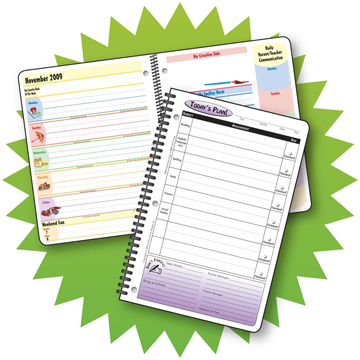 Leading company in student organization, Mead, offers various planners for any student, their needs and grade level. When you visit the student section of the company website, Mead has designed a quick survey that when finished, recommends products to meet each students specific needs. Whether you are looking to stay organized with schoolwork or extracurricular activities or to customize your planner to stand out from the rest, Mead planners will help you stay organized. Even your dust bunnies are embarrassed by your messy house. Tips on keeping a students house from looking like a “student house”. Besides doing homework, cleaning could probably be the most dreaded task of a student. You keep putting it off and as the weeks go by the dust bunnies begin to become larger and larger; they grow to a size where they can longer be ignored. Before you pull out the vacuum cleaner and start sulking, here are a few tips to make the time go by faster and even make it slightly more enjoyable. According to house cleaning experts at Molly Maid Canada, they recommend organization and working together as the first key steps in the cleaning process. Molly Maid suggests that putting all out-of-place objects back where they belong will making cleaning easier, you are able to see the exact areas that need to be cleaned. Working together is the second part of their recommendations. Get your roommates together and assign tasks that each person will be responsible for on a daily or weekly basis. Click here to find an example house-cleaning chart that you can print out. On this chart, you and your housemates can assign and record cleaning tasks. When outlining your own cleaning schedule it is important to determine what areas of your house will need to be cleaned on a daily, weekly and monthly basis. Here list of example tasks to get you started. ü Wash your dishes. This is probably the most important task you and your roommates need to keep on top of. If you let the dishes pile up, this can be disgusting task down the road with stuck on and moldy food pieces. ü Casual picking up. As soon as you and your roommates come home from school, don’t just drop your bag, books and coats in one heap on the floor pick them up and put them where they belong. This will help with the organization of your house, speeding up your cleaning when the time comes. ü Clean the floors. This involves vacuuming/sweeping and washing all floor area. Keep you focus on high traffic areas like the kitchen, common areas and the bathroom; as crumbs, dust and pieces of food are more likely to be deposited in the carpet and grout. ü Dust. You can use a product such as a Swiffer, which makes it easy to go over all surface areas in your house quickly and easily. ü Clean out the refrigerator. Sometimes it feels like the refrigerator is a black hole and your food is never seen again. To make sure you and your roommates always know what is in your refrigerator, take the time to go through all the bottles, cans and Tupperware to make sure your food isn’t green and fuzzy. ü Vacuum your couch. Yes, lift up all the cushions and take the vacuum wand and clean it out. You never know what you will find. To make sure you and your roommates cleaning experience is a little less painful; try putting on music or a movie in the background to distract you while you work. I know house cleaning may seem like an endless job, but if you stick to these guidelines you might be able to stay on top of the housework and not end up on the next episode of Hoarders. 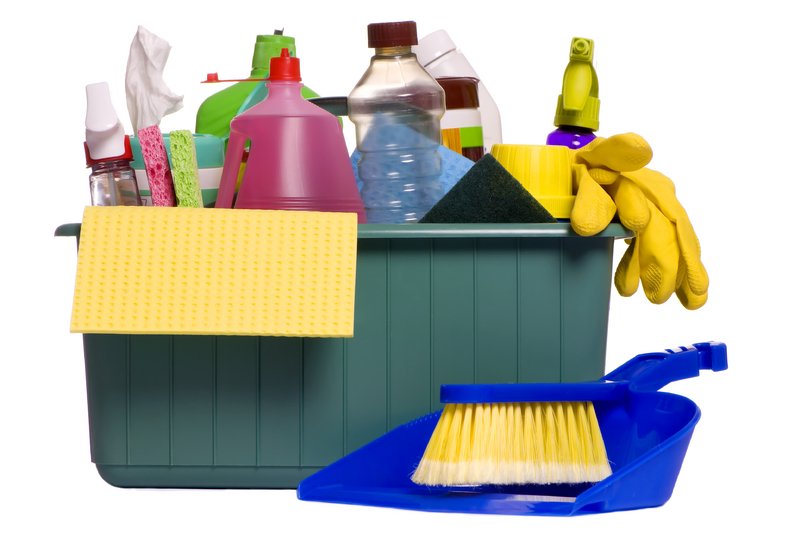 For more information and tips on house cleaning visit Molly Maid Canada. Can I Have Fun on a Budget? Yes, you Can! The city of St. Catharines has vibrant nightlife with dozens of bar options for students depending on your taste in music and atmosphere. This week I will be outlining how a budget conscious student can still enjoy a night out on the town without spending all your OSAP money in one night. DISCLAIMER: Please drink responsibly and remember never to drink and drive. First of all, getting to the bar. This can be an expense that adds up quickly, especially if you and your friends go out more than twice a week. Conveniently, with tuition at Brock University and Niagara College, each student is given a free bus pass that works with all Niagara transit buses. Once you have arrived downtown, deciding where to go will be the next challenge when trying to stick to your tight budget. Below is a list of some popular bars in St. Catharines that have nightly specials that appeal to students with lighter wallets than the average person. As we all know, Thursday is the unofficial start of the weekend and why not start the weekend off right at Isaac’s. Isaac's Bar is Brock University’s campus pub and Thursday is student’s night. With a valid student card, there is no cover and Isaac’s offers $3.00 drinks and $3.00 shots. This is the perfect option for the budget conscious students looking to stay close to campus and still have a good time. Also on a Thursday night, Kahunnaville/ London Arms is the place to be. Conveniently located in the Pen Centre, this bar features two different environments, a Top 40 club and an acoustic pub with a live band, which will satisfy anyone’s musical tastes. Thursday is also pub night for College and University students; cover is free until 11:00 p.m. with valid student ID. With $3.00 drinks and their famous “power hour” (dollar beers) from 10:00 p.m. until 11:00 p.m. Any student will recognize this bargain of a night out. Are you looking for a stylist alternative for your night out on the town? Stella’s is your perfect solution. Located downtown St. Catharines on James Street, cover is free for ladies before 11:00 p.m. Once inside treat yourself to a $5.00 martini or $4.00 beer and dance the night away to the house and trance music of live DJ’s. Located just off St. Paul Street, Level 3, more commonly know as L3, has three distinct levels for the entertainment of any partygoer. This bar boasts dancing, booths and a several pool tables along with $3.00 drinks and free cover. L3 is the spot to be on Saturday night. Now savvy students, you are armed with a guide to save you money when you are out for a night on the town. You can now afford to do your laundry more than once a month! Hello my name is Lauren and I am a 21 year old graduate of University and a current student at College, I will be revealing strategies on how to survive your freshman year of either college or university. I will be addressing topics that vary from studying, cooking, cleaning and of course partying. All my advise is from my first hand experiences that got me through my post-secondary career. My hopes for this blog is to educate in coming students to university and college with information not related to academic study. I hope this information will help with the transition period students feel when living alone for the first time. What ever happened to the old Facebook?